Waldo and his siblings were fortunate to be born safely inside thanks to a kind lady who rescued their mother when the poor cat was discovered stray and struggling in the winter cold. Several weeks later, she received a surprise when her rescued kitty gave birth to a litter of 5 kittens! She reached out to RCR for help in finding the kittens good homes. Waldo is a spunky little guy who can make anyone smile with his charming kitten ways. He's good with other cats and loves to play with his siblings. He's just as happy to chill in your arms as snuggles are always on his agenda! Waldo is a fun and well-mannered kitten who would make a great addition to any home. 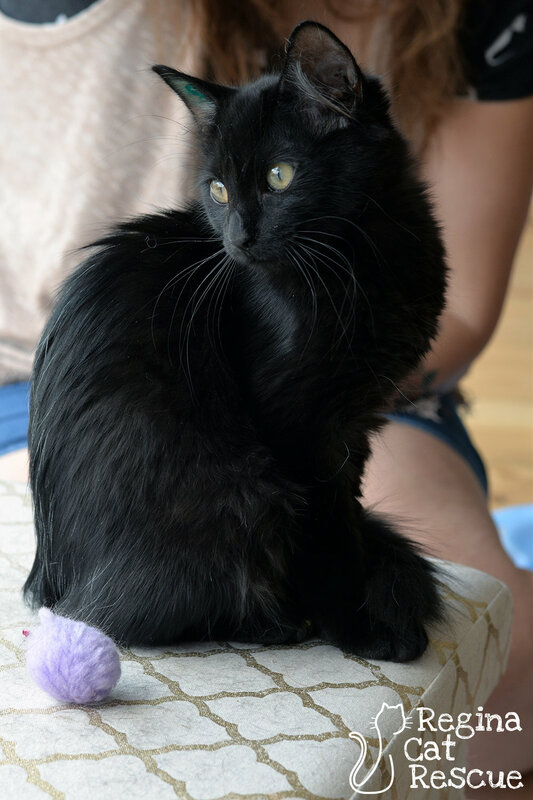 If you are interested in Waldo, click here to view our adoption contract and click here to complete an adoption application or email the RCR Adoption Coordinator at adoptions@reginacatrescue.com for more info.